HOLY CRAP PACKFILM IS COMING BACK AND THIS IS HUGE OMFG!!!! This Kickstarter is probably our last chance to ensure that Packfilm returns to the world; let’s not screw this up! We’ve previously reported on Florian Kaps being hard at work to bring back packfilm–and now we have learned we’re at the final crossroads. 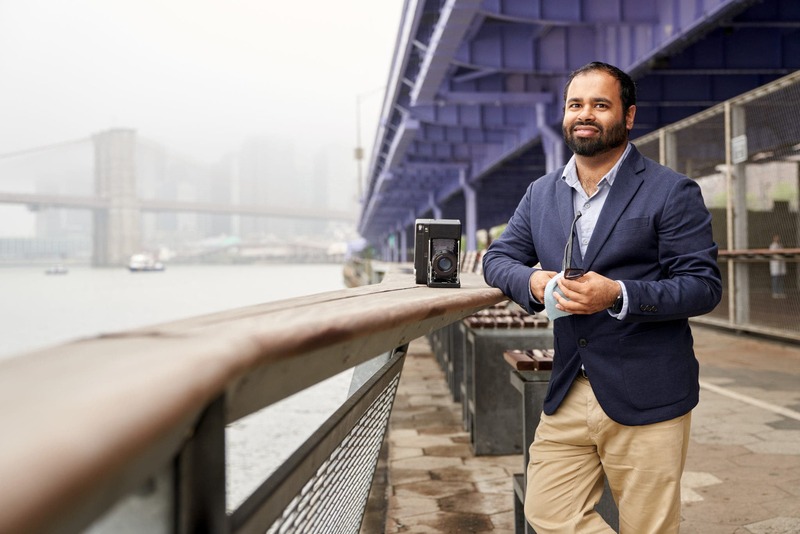 Today, him and Supersense are announcing a brand new Kickstarter campaign. This campaign is asking for funding to get the film production back up and running. For the uninitiated, Kaps was one of the folks behind the Impossible Project which later became Polaroid Originals. Without his help, much of the film for the old Polaroid cameras would be gone. This new peel-apart pack film is going to be called ONE INSTANT. All images are from prototype film! Now, this film is much different from the previous stuff. Where previous packfilm held around 10 shots, ONE INSTANT is a single shot in a paper cartridge. Why are they taking this route? Well, all the original industrial equipment was destroyed, so there is nothing that can be done. Previous packfilm had 10 shots per cartridge and sometimes had issues with jamming or the film not coming out when the tab was pulled. Additionally, the emulsion sometimes was a bit too wet and rubbed off onto the rollers. This film will go into Polaroid Land cameras like the older Polaroid 180 Land. Of course that means you’ll need to load the film, shoot, pull, and reload. What that also means though is that you don’t really have to finish an entire pack then and there lest the pack goes unused for a while and expires. 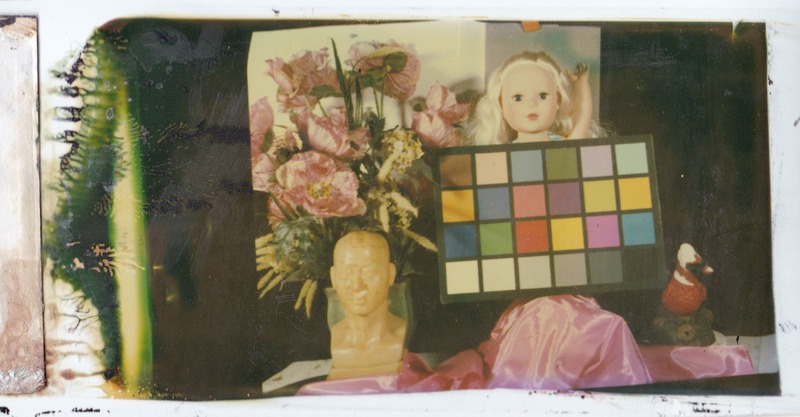 The first edition of ONE INSTANT will be based on Polaroid P7 COLOR FILM. At ISO 125, it is balanced to 5500K daylight and will have a development time of 90 seconds at 70°F. If you’ve shot with the older packfilm, you’ll know that’s a long time–and that this is very much still a first stage product that will need both support and refinement. More info is in the press release and tech specs below. ONE INSTANT is a SINGLE SHOT peel-apart instant film, supplied in a sealed, pre-loaded, lightproof paper cartridge. It is because of the all new production process that one cartridge can only contain one shot. Replacing the mind-blowing complexity of the former 10-picture cartridge, which no longer can be manufactured due to the destruction of the original industrial equipment. The first edition of the all new ONE INSTANT packfilm series will be a P7 COLOR FILM; made of original Polaroid P7 material supplied from the 20×24 Studio in Ashland, MA; with a production run of approximately 50,000 single shot cartridges. Future editions will bring different film stocks, colors and styles. PLEASE NOTE: The currently available ONE INSTANT sample photos have been made with experimental, first-stage prototypes that do not typify the final quality of ONE INSTANT material once professionally produced at the new production facility. Vienna, Austria. Keeping analog technologies alive is the specialty of Austrian entrepreneur Florian “Doc” Kaps – best known for his success in keeping the very last Polaroid film production facility in Enschede, The Netherlands, up and running, resulting in the comeback of instant film to the market. When in spring 2016 Fuji announced termination of the world’s last instant packfilm production, Kaps started a mission to also save this iconic film material. 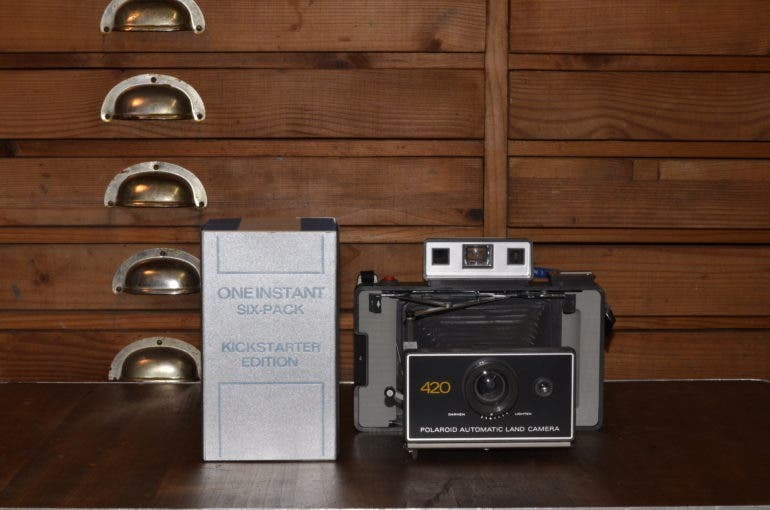 After more than 2 years of intense R&D, he today launches a Kickstarter Campaign, introducing ONE INSTANT: a next generation Type 100 peel-apart instant film. Designed for both, the experienced peel-apart film lovers and the modern next-generation analog photographers. ONE INSTANT is NOT a CLASSIC PACKFILM but a next-generation instant film based on a new and radical concept. 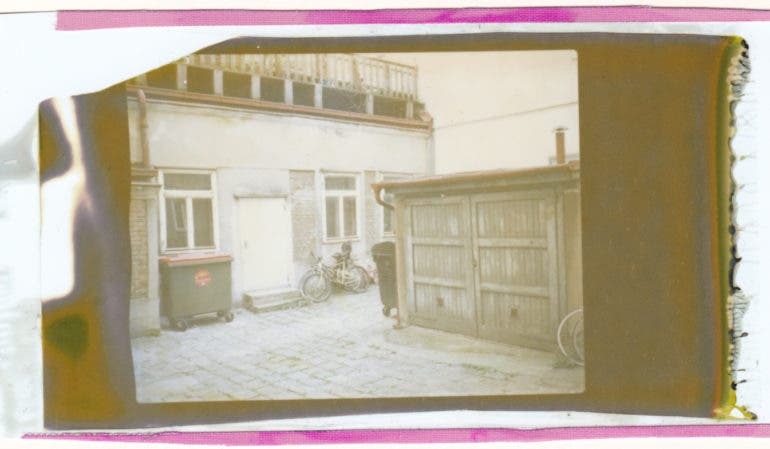 Produced by Supersense with a small team at a new instant film manufactory in Vienna, with a small production set-up that does not require millions of investment. Made possible by replacing the highly complex folding system of the original packfilm with a stripped-down, one-shot paper cartridge. Developed in close collaboration with Uwe Mimoun from Reanimated Film and John Reuter from the 20×24 Studio. Each component and content of a ONE INSTANT cartridge is made by hand, using the most high quality components. A new kind of peel-apart instant film to capture most precious moments with a unique kind of photograph. The Kickstarter 6-Pack Edition, containing two hand-printed boxes of three single-shot cartridges each, will be available for pre-order starting from 44.- Euro. Take a Peek at the Cool Kodak LPD4 ISO 4 Black and White Film!